There can be no denying the fact that WATER is the most important life source on Earth - without which no living creature can survive. Islam teaches us that wasting is a trait of the devil. The religion of Islam is the religion of life and its precepts and rules set the grounds for human felicity and success, both, for the individual, as well as for society. Islam has brought forth a complete programme for every facet of human life, and has advised balance and moderation to its followers in all affairs. At this moment in time, we are experiencing a severe drought which has resulted the lowest water levels that we have seen in years. As a muslim, it is our duty to save water and be moderate in our use thereof, we should endeavour to do our part in conserving water as best as we can, as wastage of this precious gift is contrary to what our deen teaches us. 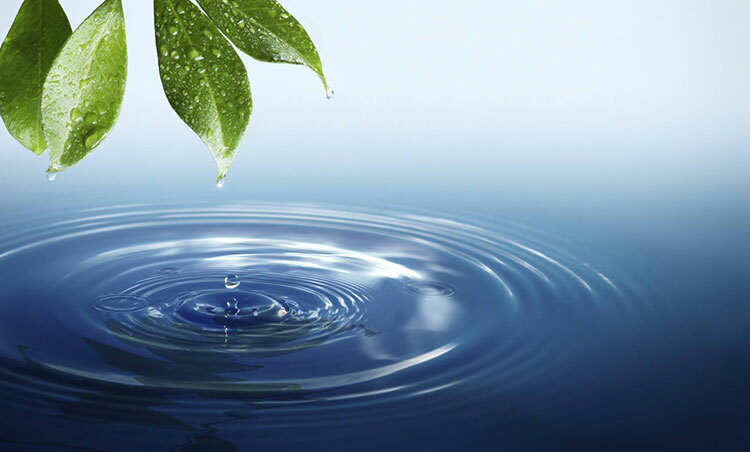 There are a number of ways we can adopt to show our gratitude and do our part to conserve water. One of these ways is in our daily performance of wudhu and ghusl. Generally, we tend to waste a lot of water in this ibadat. Abdullah bin Amr bin Às (radhiyallahu anhu) narrates that Nabi (sallallahu àlayhi wa sallam) passed by Sâ'd (radhiyallahu anhu) who was making wudhu. He said: "Why this extravagance, O Sâ'd? He, Sâ'd (radhiyallahu anhu) asked: "Is there extravagance in whudu also?" He, (Nabi sallallahu alayhi wasallam) replied: "Yes, even If you are making wudhu at the bank of a flowing river." Nabi (sallallahu alayhi wasallam) has set a perfect example for us in everything that he did, even in the amount of water he used while making whudu or ghusl as can be clearly seen from this hadith. Save water in every way that you can, for each drop is as precious as life itself. 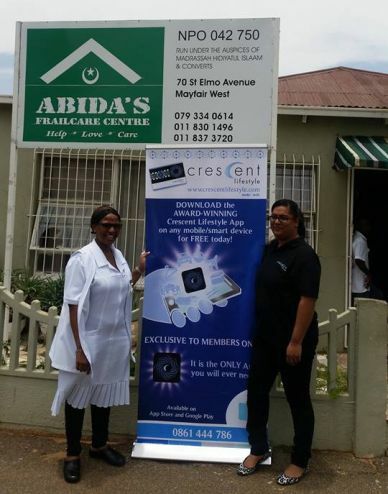 On the 8 December 2015, members of the Crescent Lifestyle team visited some of the female residents of ABIDA’S FRAIL CARE CENTRE in Mayfair West. Our team handed out slabs of chocolate as a treat while visiting with the elderly residents. It was a humbling experience to see the appreciation for this small gesture, all while the residents were keen to share a block or two whilst we chatted and listened to their entertaining stories from their younger days. 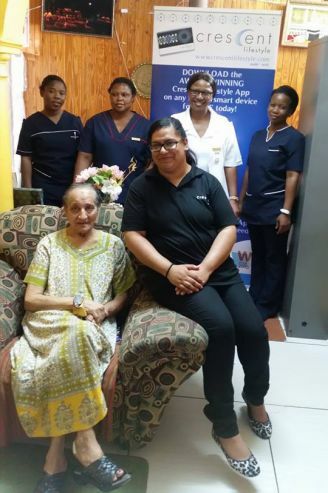 It was a heart warming experience to spend quality time with our elderly and to witness first-hand, the invaluable service that ABIDA’S FRAIL CARE CENTRE is able to offer our community, with thanks to the generous donations they receive, on behalf of our members. 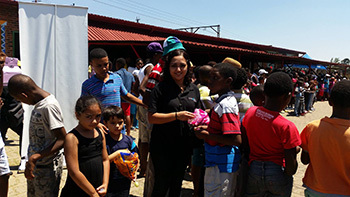 CRESCENT LIFESTYLE HELPS HOST PARTY FOR OVER 1000 CHILDREN. 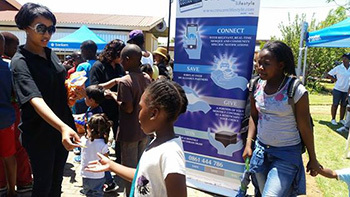 On Saturday the 5 December, IKAGENG ITERELENG AIDS MINISTRY hosted a party for OVER 1000 CHILDREN whose families have been affected by HIV. Members of the Crescent Lifestyle team, along with their children, assisted with PREPARATIONS and HANDING OUT SWEETS. There were literally over 1000 SMILES at the CARNIVAL-LIKE PARTY, with party games, popcorn, and presents for all. Breakfast and Lunch was prepared and served to all the children. Carol Dyanti and Chunky Morake of IKAGENG ITERELENG AIDS MINISTRY spent a lot of time planning to ensure that every child in attendance, felt special, and the donations received, including party packs and toys, were used to make sure EACH CHILD left the party feeling HAPPY, WITH A FULL BELLY and COMPLETELY EXHAUSTED from the day’s festivities. It was an honour for our team to join the IKAGENG ITERELENG AIDS MINISTRY volunteers to spread a little joy to these children. It is with the greatest thanks to our generous members, who have elected IKAGENG ITERELENG AIDS MINISTRY to receive a portion of their monthly membership fees - as a result, these children’s lives have improved daily. 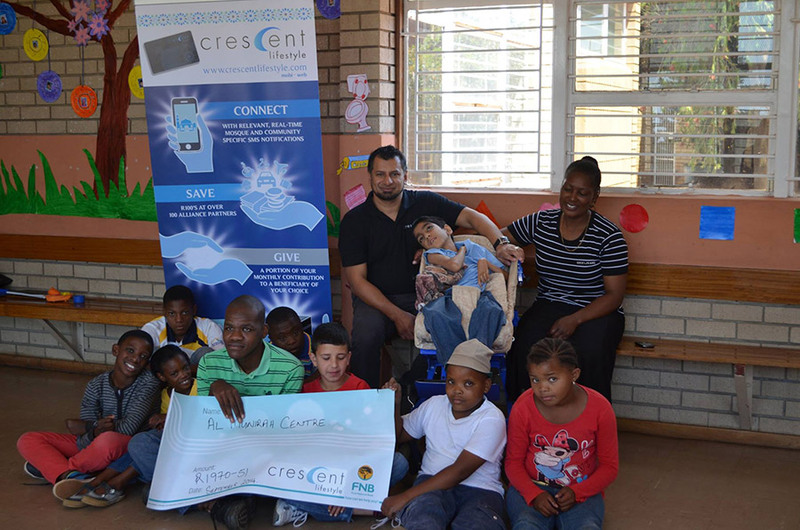 Crescent Lifestyle and our staff remain committed to helping communities across South Africa and making a difference. 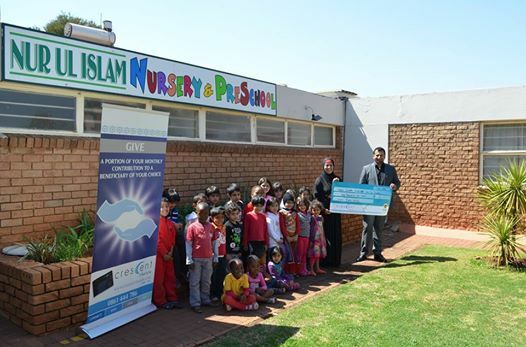 Khalida Khan, Crescent Lifestyle Alliance Partner & Marketing Manager and Ateeyah Hassim, Crescent Lifestyle IT & Communications Administrator hand over a cheque for Rxxxxx to the Principal of BENONI MUSLIM SCHOOL, Nasser Ebrahim, and some enthusiastic Grade 1 learners. 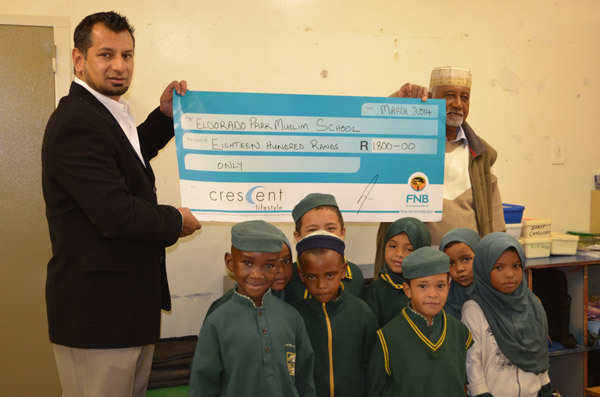 Members of the Crescent Lifestyle team recently visited BENONI MUSLIM SCHOOL to hand over a CHEQUE for R4857,00 as part of the SECOND BENEFICIARY PAYOUT for 2015. BENONI MUSLIM SCHOOL has been servicing the Muslim Community in the Benoni area for 20 years and currently provides a place of learning to over 700 learners from Grade R to Grade 12. BENONI MUSLIM SCHOOL are going to be using the monies received towards UPGRADING their library, with the addition of new books, computer software and a much needed computer for the administration of the library facilities. As Mudeer, Nasser Ebrahim is most excited and hopes that by giving the library a much needed upgrade, it will encourage the youth to start reading more avidly and re-kindle a passion for the written word once again. 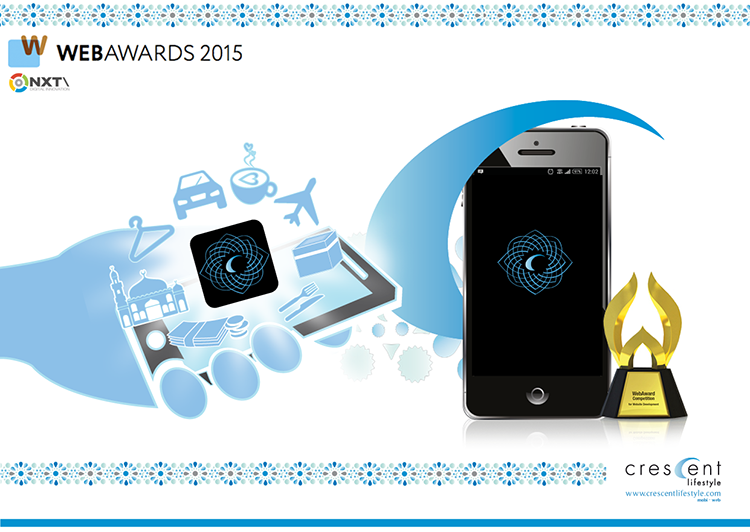 We are honoured to announce that Crescent Lifestyle has received the prestigious 2015 WEBAWARD FOR OUTSTANDING ACHIEVEMENT IN WEB DEVELOPMENT for THE CRESCENT LIFESTYLE APP. It is most humbling to receive such recognition for the APP we designed with YOU, our members, at heart. The CRESCENT LIFESTYLE APP is the ultimate lifestyle-enhancing tool. It merges high-tech convenience with your everyday life so that our members benefit the most with the BEST ISLAMIC LIFESTYLE PROGRAMME. 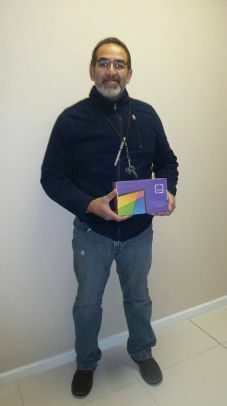 MR KAMALIE WINS A LENOVO TABLET SIMPLY BY DOWNLOADING THE NEW CRESCENT LIFESTYLE APP! Crescent Lifestyle are pleased to introduce you to MR KAMALIE, the 8th LUCKY WINNER OF A TABLET, SIMPLY BY DOWNLOADING AND REGISTERING ON THE NEW CRESCENT LIFESTYLE APP. MR KAMALIE recently had the misfortune of losing his mobile phone, however his luck changed and now MR KAMALIE IS SMILING after he became the 8th LUCKY RECIPIENT of a TABLET in the CRESCENT LIFESTYLE TABLET GIVE AWAY. We congratulate MR KAMALIE and wish him endless joy in using this much needed device. 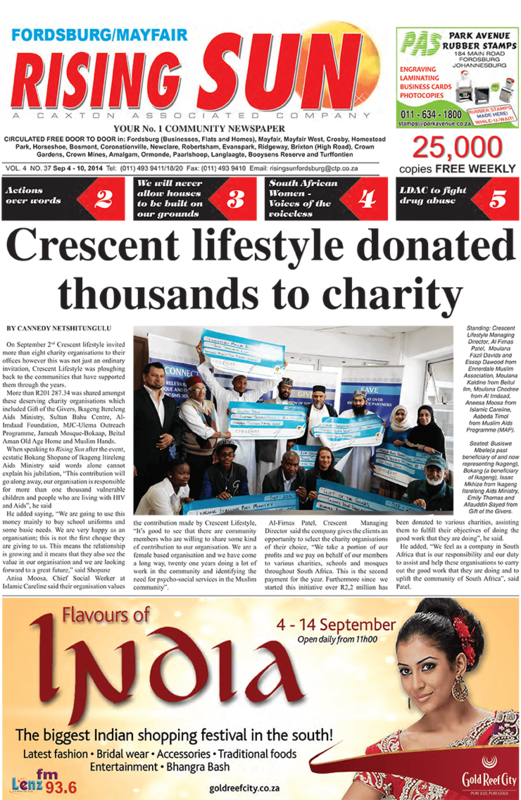 CRESCENT LIFESTYLE MEMBERS EXCLUSIVELY DOWNLOAD THE NEW CRESCENT LIFESTYLE APP* FOR FREE TODAY AND ENJOY THE MODERN CONVENIENCE OF THE LATEST CUTTING EDGE TECHNOLOGY, COUPLED WITH THE BEST ISLAMIC LIFESTYLE PROGRAM IN THE PALM OF YOUR HANDS. 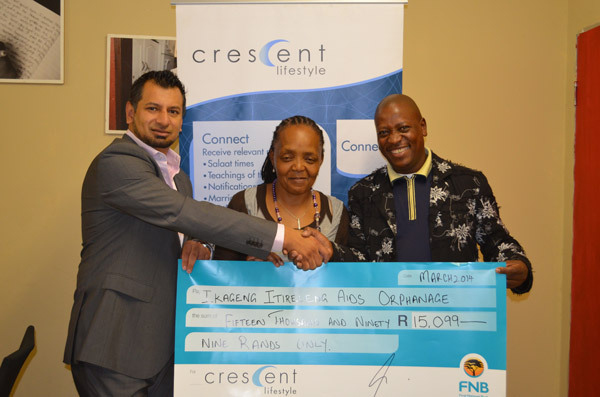 Crescent Lifestyle proudly CELEBRATED the OFFICIAL LAUNCH of our CAPE TOWN OFFICES by hosting a BENEFICIARY CHEQUE HAND OVER CEREMONY on the 29th of May as part of THE FIRST BENEFICIARY PAYOUT FOR 2015.
representatives from our CAPE TOWN BENEFICIARIES, ALLIANCE PARTNERS, MEMBERS OF THE ASSOCIATED PRESS AND PROMINENT MEMBERS OF THE CAPE TOWN COMMUNITY. We also thank TAJ AKLEKAR who was the MC for the evening. It is with sincere thanks to our loyal members, the MONUMENTAL AMOUNT CONTRIBUTED SINCE 2008 HAS REACHED IN EXCESS OF OVER R 2,5 MILLION. 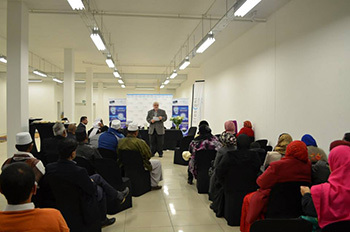 Representatives from various BENEFICIARIES gathered at the CRESCENT LIFESTYLE CAPE TOWN OFFICES on the evening of FRIDAY 29TH MAY 2015 to celebrate and graciously receive their cheques and CELEBRATE THE OFFICIAL OPENING OF OUR NEW OFFICES IN THIS REGION. BY WORKING TOGETHER, WE ARE COLLECTIVELY MAKING A NOTICEABLE DIFFERENCE IN OUR COMMUNITIES THROUGH GIVING AND CREATING NEW CAREER OPPORTUNITIES. We welcome ZEENAT PATEL-KASKAR, our Western Cape Regional Manager, to the Crescent Lifestyle family and look forward to all the incredible initiatives we will be involved with in Cape Town. 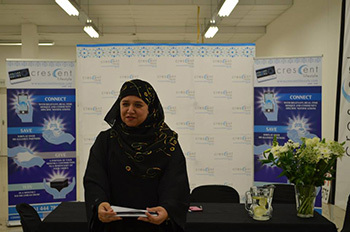 Crescent Lifestyle were also pleased to host FAREEN KAPDI of Cape Town, a valued Crescent Lifestyle member who WON A TABLET, SIMPLY BY DOWNLOADING THE NEW CRESCENT LIFESTYLE APP! 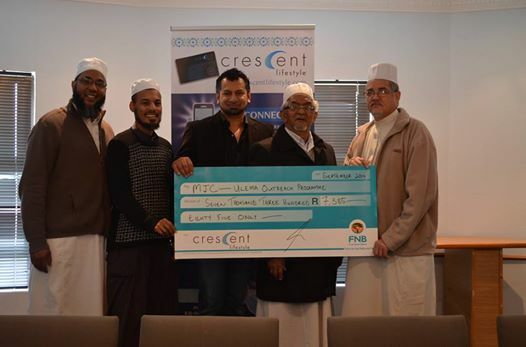 With thanks to the generosity of Crescent Lifestyle members who have selected Saaberie Chisty Dawah Centre as the charity they donate a portion of their membership fees to, we proudly handed over a cheque for R2285,11 to the Saaberie Chisty Dawah Centre as part of our Second Beneficiary Payout for 2014. 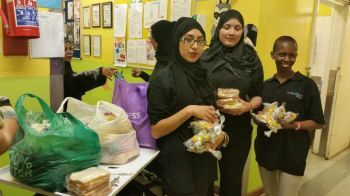 Crescent Lifestyle members of staff and management had the honour of assisting the Saaberie Chisty Dawah Centre with their feeding scheme when they visited Orange Farm this past week. Saaberie Chisty Dawah Centre sees to the needs of the muslims in this impoverished area by offering a pre-school, adult learning classes, mosque, feeding scheme and Qurbani facilities. They have 56 children younger than 10 years old in their pre-school phase, whose cognitive, literacy and numeracy skills are developed in preparation for Grade 1. The children receive a nutritious meal and juice before they leave every afternoon. For some it is the only meal they will have before a long 2km walk home. This facility employs 10 staff members, comprising of teachers, cooks, caregivers and a maintenance person - all of which assist in keeping the centre maintained and the community cared for. Saaberie Chisty Dawah Centre receive no aid from the Government and depend on donations and volunteers to assist with the operation of the centre. 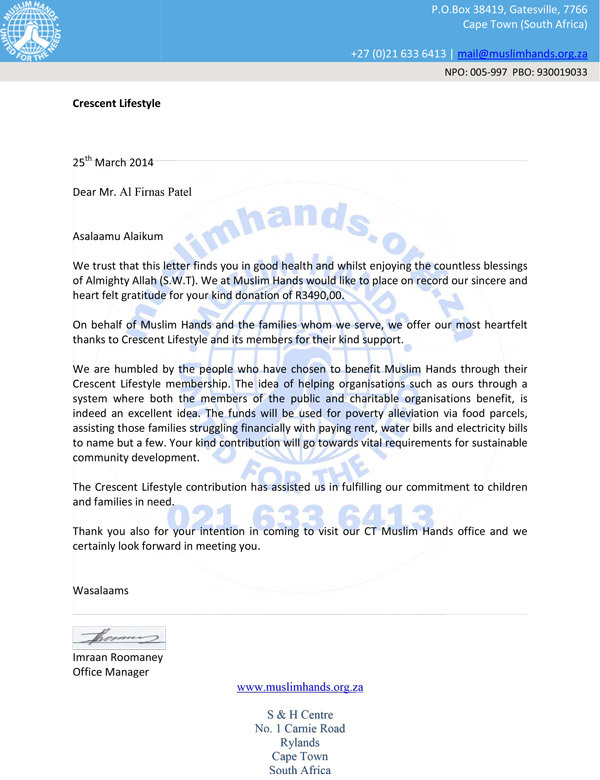 "This initiative is very close our hearts”, says Al-Firnas Patel, Managing Director of Crescent Lifestyle, “We take what is in OURS and OUR MEMBERS hearts and put it into the hands of those who need it most”. 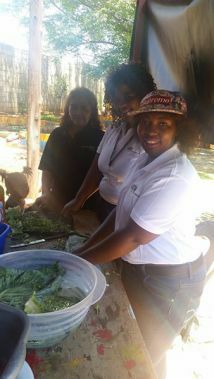 By GIVING of our time, CRESCENT LIFESTYLE is helping our community to strive for a brighter future, one meal at a time. 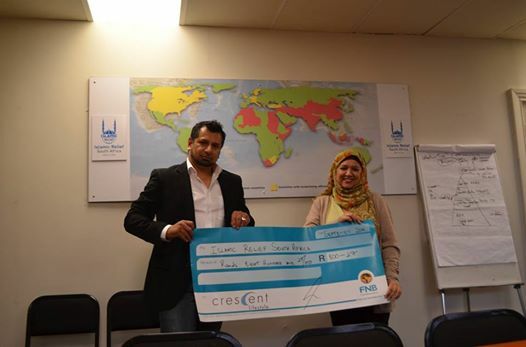 Crescent Lifestyle proudly handed over a cheque for on behalf of our members, who have contributed a portion of their membership fees to AL MUNIRAH CENTRE as part of our second beneficiary payout for 2014. AL MUNIRAH CENTRE is a school and day care facility in Roshnee, Vereeniging area for children with Special Needs such as downs syndrome - some children are wheel chair bound and are unable to feed themselves. These children are transported to and from the centre safely and cared for daily. AL MUNIRAH CENTRE receives no government funding and is dependent on community fund raising events and donations like ours to care for these children in the very special manner they do. By GIVING to those who need it most, CRESCENT LIFESTYLE and OUR MEMBERS care – WE are making a difference in our community. 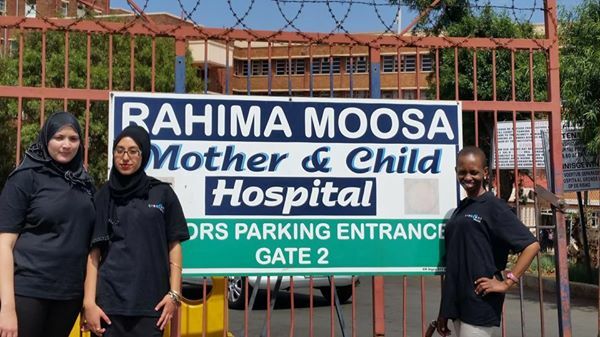 The Crescent Lifestyle Team had the honour of assisting the Muslim Aids Programme with their SANDWICH FEEDING DAY at the RAHIMA MOOSA MOTHER AND CHILD HOSPITAL this week. Crescent Lifestyle members of staff and management gathered in the early morning on Wednesday 22nd of October 2014 to prepare 300 polony sandwiches and pack chips, sweets and some fruit to distribute to HIV positive mothers and children who queue at the hospital for hours on end to receive treatment, most often arriving without any breakfast or food for the day. 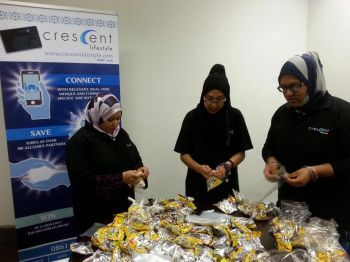 By preparing and sharing +- 300 meals, Crescent Lifestyle helped lighten the burden of hunger for these individuals - who are battling something far greater than we could ever realise. Our team are deeply humbled to have witnessed the gratitude and appreciation shown by the mothers and children, who are facing the most daunting and dreadful illness of our time. 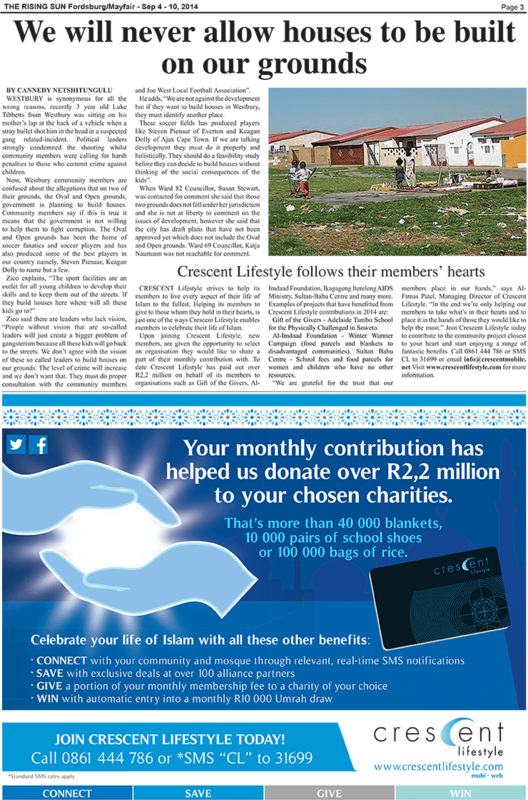 "This initiative is very close to the hearts and extends beyond the R2,2 million already paid out to various Crescent Lifestyle member selected beneficiaries since 2008”, says Al-Firnas Patel, Managing Director of Crescent Lifestyle, “We take what is in OURS and OUR MEMBERS hearts and put it into the hands of those who need it most”. By GIVING of ourselves, CRESCENT LIFESTYLE is helping our community to strive for a brighter future, one meal at a time. 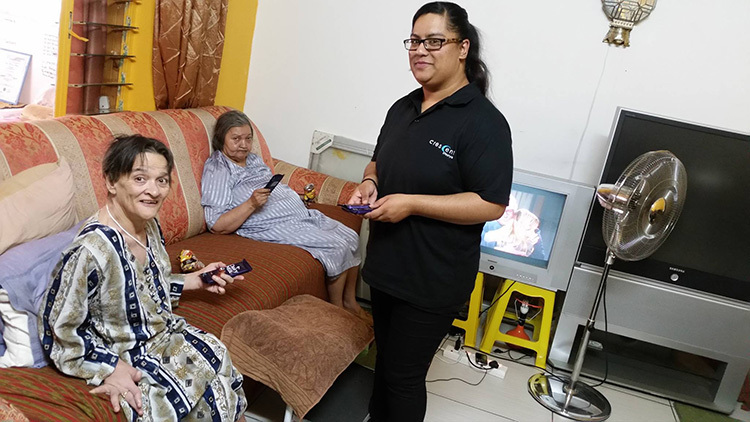 Juleiga Goolam Hoosen of Mayfair, visited her local eye hospital every six months for over two years, often waiting in long queues for an entire day, without receiving the medical care she needed. Without the proper medical treatment, her cataracts hardened and as a result, Juliega was left blind. 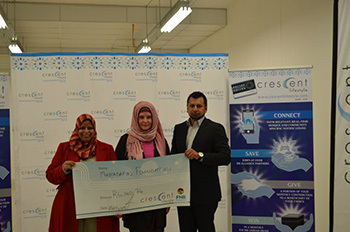 Crescent Lifestyle members contribute a portion of their membership fees to a charity of their choice, which is paid out at regular Beneficiary Payout ceremonies during the course of the year. 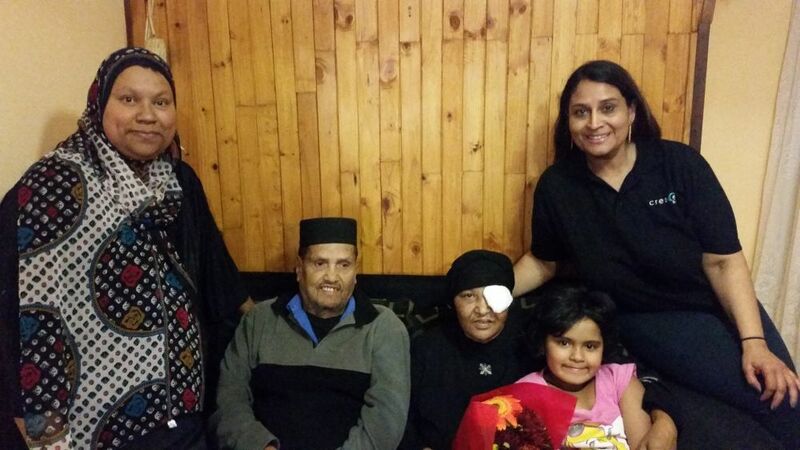 It is with these much needed funds that SULTAN BAHU is able to help GIVE people like Juliega Goolman Hoosen the gift of sight through their CATARACT REMOVAL PROGRAMME. The SULTAN BAHU CATARACT REMOVAL PROGRAMME assists by giving those in need access to laser operations to remove their cataracts and regain their vision . It is with thanks to the generosity of Crescent Lifestyle and our members, that Juliega can see her husband again for the first time in years. This beautiful story demonstrates that with a Crescent Lifestyle membership GIVING and receiving go hand in hand. Crescent Lifestyle is proud to be affiliated with the SULTAN BAHU CATARACT REMOVAL PROGRAMME and we look forward to continue this partnership on behalf of our generous members in the future. Take hands and make a noticeable difference in YOUR community - Join Crescent Lifestyle today! AT CRESCENT LIFESTYLE, WE TAKE WHAT IS IN OUR HEARTS AND PLACE IT IN THE HANDS OF THOSE WHO NEED IT MOST. 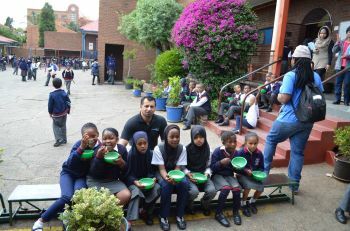 Crescent Lifestyle had the honour of assisting AL IMDAAD FOUNDATION with the “MAKE BREAKFAST POSSIBLE” feeding programme at CROWN REEF PRIMARY SCHOOL, Mayfair this week. 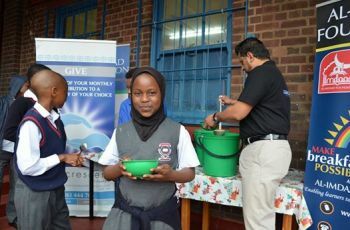 AL IMDAAD FOUNDATION in conjunction with food technologists, dieticians and nutritionists have collaborated to develop a nutrient-rich porridge called “Siyasutha”, which is mixed with water and fed to hungry learners daily before their lessons commence. 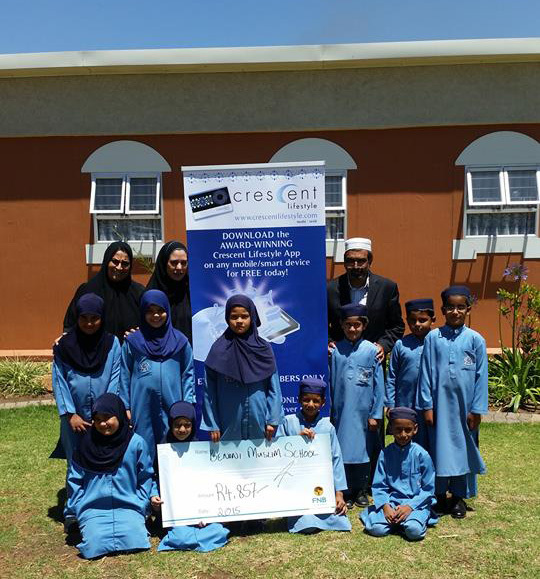 Crescent Lifestyle recently paid out an amount of R13 787,78 to AL IMDAAD FOUNDATION on behalf of it’s members at their second beneficiary payout for 2014, a portion of which has been used to “make breakfast possible” for these young learners. 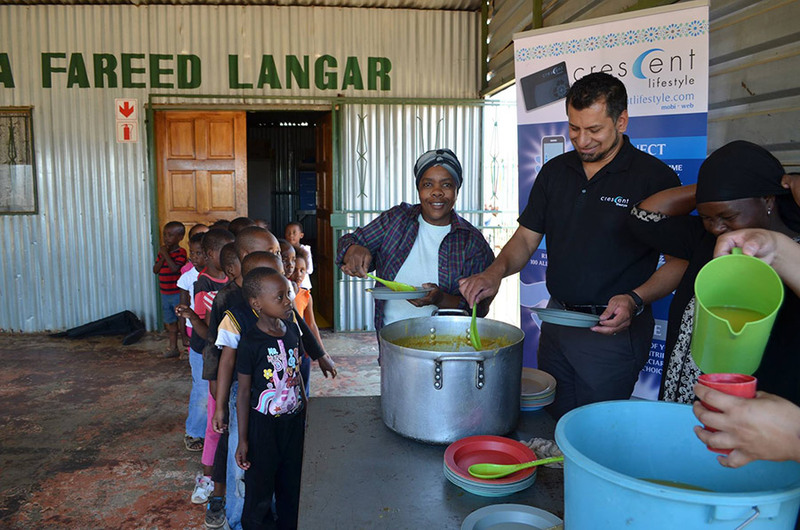 Crescent Lifestyle Managing Director, Al-Firnas Patel and members of his team spent the morning of 15th October alongside Moulana Chodree of AL IMDAAD FOUNDATION preparing and serving breakfast cereal to 100 pupils who attend school daily without breakfast or lunch. 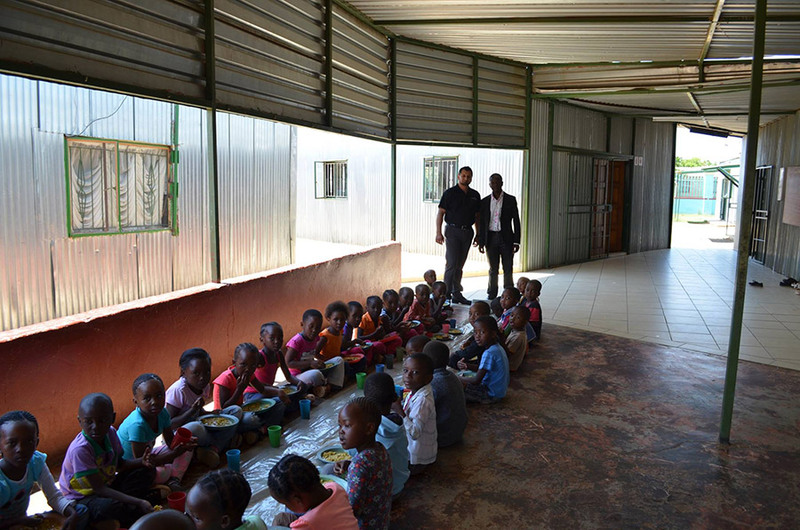 CROWN REEF PRIMARY SCHOOL currently caters to the needs of 687 pupils and receives no government funding.The cost of MAKING BREAKFAST POSSIBLE is R1 per serving per day and enables hungry pupils to focus on learning as opposed to hunger. By also GIVING of our time, CRESCENT LIFESTYLE is helping our young community to strive for a brighter future, one meal at a time. 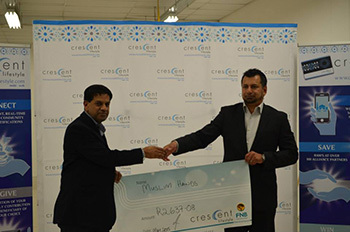 In the spirit of GIVING, Crescent Lifestyle recently visited ISLAMIC RELIEF SOUTH AFRICA and proudly handed over R800.27 on behalf of our members, in the Second Beneficiary Payout for 2014. 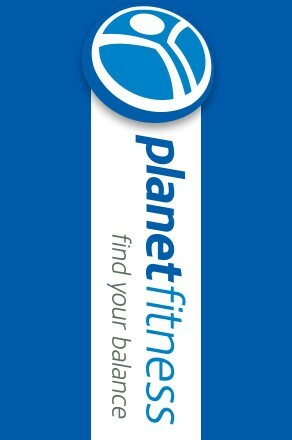 At Crescent Lifestyle, our members select a charity whom they would like a portion of their membership fees donated to. We are honoured to share these contributions with the beneficiaries our members have chosen, who very often have little to no constant source of income. 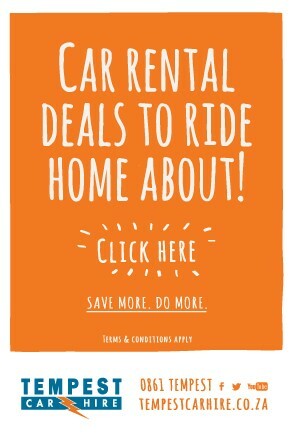 Crescent Lifestyle - Connect. Save. Give. Win. 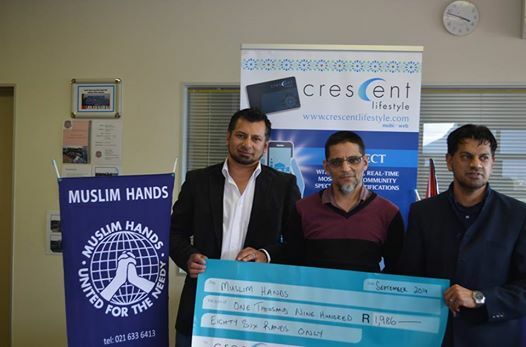 In the spirit of GIVING, Crescent Lifestyle recently visited Muslim Hands SA and proudly handed over R1986 on behalf of our members, in the Second Beneficiary Payout for 2014. 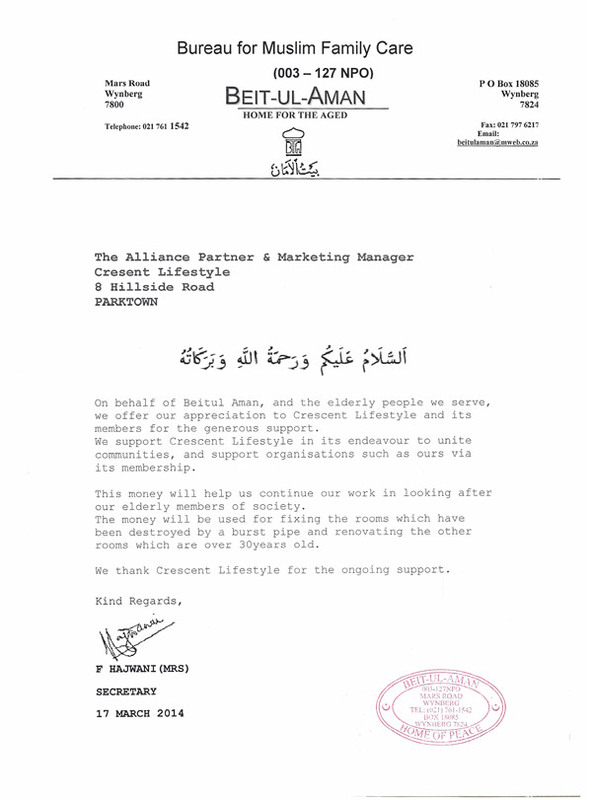 At Crescent Lifestyle, our members select a charity whom they would like a portion of their membership fees donated to. We are honoured to share these contributions with the beneficiaries our members have chosen, who very often have little to no constant source of income. 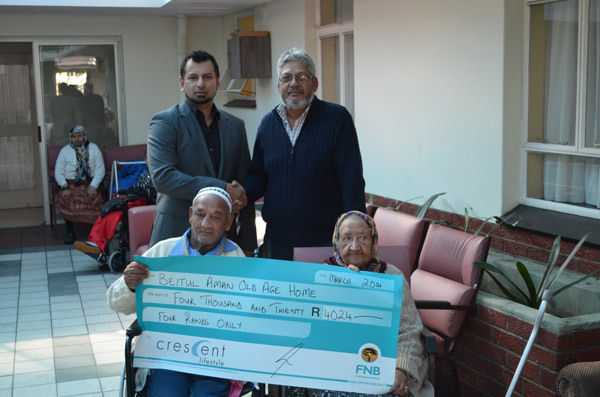 Al-Firnas Patel, Crescent Lifestyle Managing Director, handing over a cheque for R1986 to Mr Fakee and Imraan Roomaney from Muslim Hands SA. It was an immense honour and pleasure to welcome upstanding members of the Muslim Community to the Crescent Lifestyle offices this week and we look forward to fostering an ongoing association with them. Pictured below: The President of the Muslim Judicial Council- Moulana Ihsaan Hendricks, The President of The Al-Quds Foundation- Moulana Ahmed Mohammed, Member of the Al-Quds Foundation-Yusuf Armien and Secretary-General of the Muslim Judicial Council- Moulana Abdul Khaliq Allie with Crescent Lifestyle Managing Director, Al-Firnas Patel and members of the Crescent Lifestyle team. 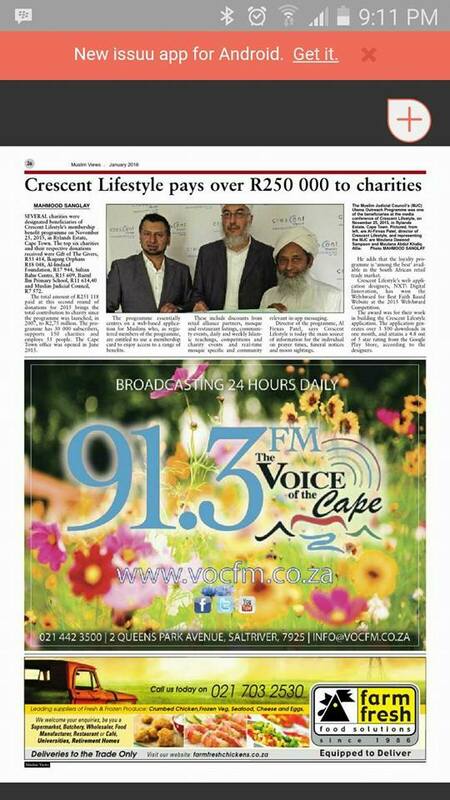 Crescent Lifestyle lends a helping hand to those who need it most. 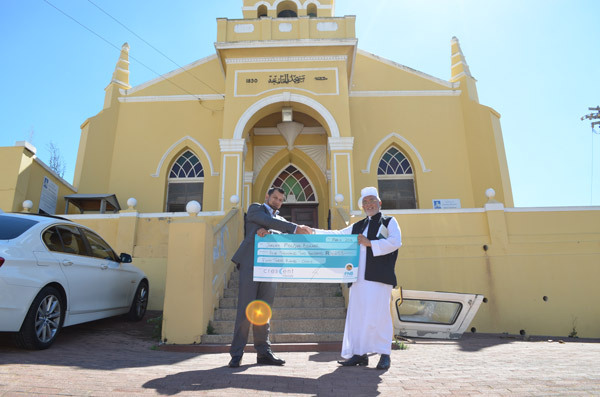 Crescent Lifestyle MD, Al-Firnas Patel, recently visited the MJC in Cape Town to hand over a cheque for R7385 in support of The MJC Ulema Outreach Programme Initiative on behalf of Crescent Lifestyle members in the Second Beneficiary Payout of 2014. It is an honour and privilege to make such contributions to our members’ chosen charities. If it’s in our members hearts, we put it in the palm of the hands of those who need it most. The AdelaideTambo School for the Physically Challenged in Soweto recently benefitted from a R23 791 donation, paid to Gift of the Givers by Crescent Lifestyle at their 1st beneficiary payout of 2014. This much needed investment in the Soweto community was used towards the completion of four classrooms, an ablution block for girls and boys, staffroom and a combined tennis/netball/basketball court at the school who were previously not equipped to deal with the needs of their physically challenged students. It was in our members’ hearts to GIVE a portion of their monthly contributions to this pre-selected beneficiary, who have since injected the funds back into their community. It was in our member’s hearts to GIVE to schools in their communities. We recently visited a few to hand over these contributions in our second beneficiary payout of 2014, where a total of R 201 287,34 was paid out to several beneficiaries. Together we have donated over R 2.2 million since 2008. For a full list of beneficiaries, visit our website.